While Kubernetes has been listed as one of the growing aspects of cloud computing, security has also remained top of mind for the majority of users. However, this concern for security has been raised with Kubernetes, often leading users to believe they could have one but not the other without some aspect suffering. This isn’t necessarily true, as with all technology, advancements are continuously made. In this particular case, Kata Containers is not only the solution to security concerns in regards to containers but is also contributing to the advancement and future of Kubernetes. Kata Containers is an open source project managed by the OpenStack Foundation. It was launched in December 2017 with the purpose of developing ultra-lightweight Virtual Machines that integrate flawlessly with the container ecosystem. Since its inception, VEXXHOST has been a proud supporter in addition to providing infrastructure for the CI workloads of the project. In this blog, we’ll be exploring how exactly the Kata Containers project tackles the concerns and issues surrounding Kubernetes and security. One of the main concerns surrounding the application of Kubernetes is that of tenancy and how it impacts the level of security. In order to achieve security with Kubernetes, each developer, or department, within a company would be required to have their own cluster. Due to the fact that the internal components aren’t tenant-aware, it’s only really each cluster that acts as a barrier between tenants, leaving companies to deploy numerous clusters. However, with the extremely lightweight VMs from Kata that mimic the performance of containers while offering the security of virtual machines, the issue of maintaining security while enabling multi-tenancy within a Kubernetes cluster is resolved. With Kata the cluster is no longer the tenant barrier, instead, the solution can be configured so that each user is allocated a set of Kubernetes services residing within the VM container. As mentioned above, most companies are left to deploy large amounts of clusters as a means of controlling the security for each user. However, this solution is far from being efficient when it comes to the level of resources. With Kubernetes clusters, the smallest generally available includes four machines. With the cluster per tenant method, this means that much of the systems won’t be in use. By employing Kata Container’s ultra lightweight virtual machines in the method described above, the need for numerous clusters as a means of ensuring security is eliminated. Each cluster can now be used in a multi-tenant fashion, reducing the number of clusters required and simultaneously improving resource efficiency. Given that the resources involved in a Kubernetes cluster aren’t being used efficiently due to concerns with security, the same can be determined for expenses. Companies are paying for numerous clusters but, without being able to make use of all the machines, they’re ultimately tying up funds in unused, idle systems. Through the improvements made by Kata Containers which allow users to benefit from the multi-tenancy of Kubernetes without the loss of security, companies are able to cut down significantly where their expenses are concerned. As opposed to paying for idle systems, companies will only be responsible for what they use. 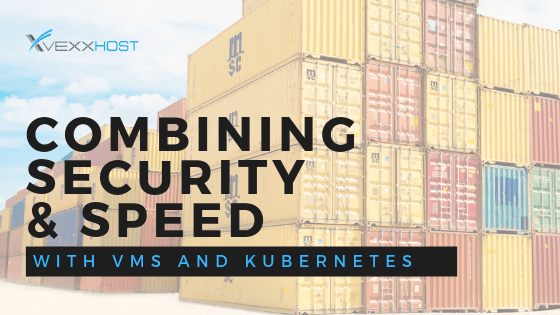 Through Kata Containers, security will no longer be a reason to either avoid the adoption of Kubernetes or have a cluster per tenant deployment ratio that seriously increases your costs through the inefficient use of resources. With their development of incredibly lightweight VMs, using VEXXHOST’s trusted and exceptional infrastructure, Kata Containers is able to provide the best of both Virtual Machine and Kubernetes technologies. Contact us to learn more about how to get started with Kata Containers!